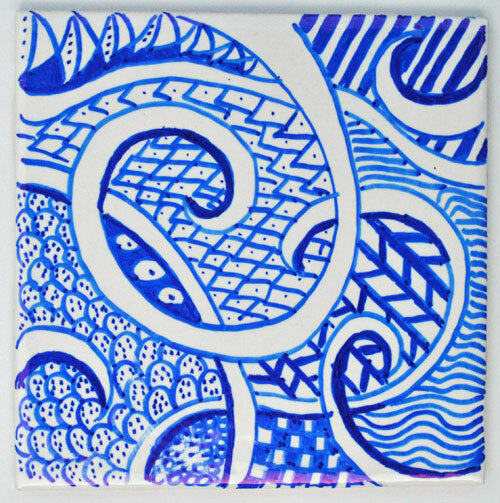 I have really been into doodling recently (check out some of my creations) and my pot of Sharpies has sat on my desk ever since I created this fabric. It was only a matter of time that the two met! 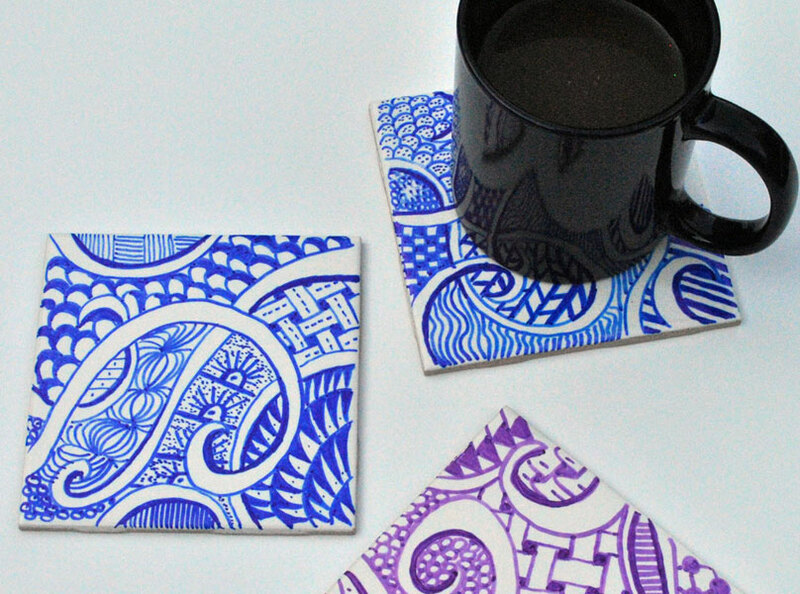 Check out these fun Zen doodle coasters. Simple to make too..here’s how. 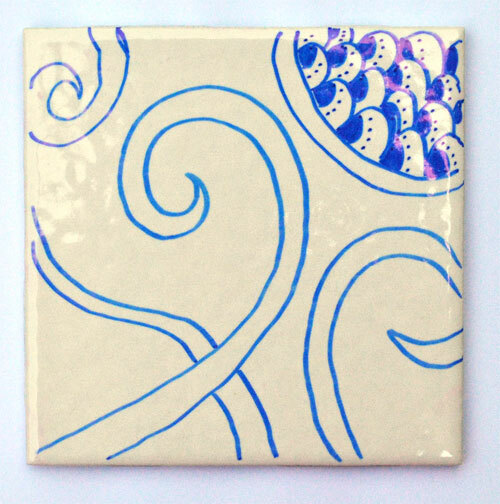 The simple add a different doodle to the zones created by the swirl design. 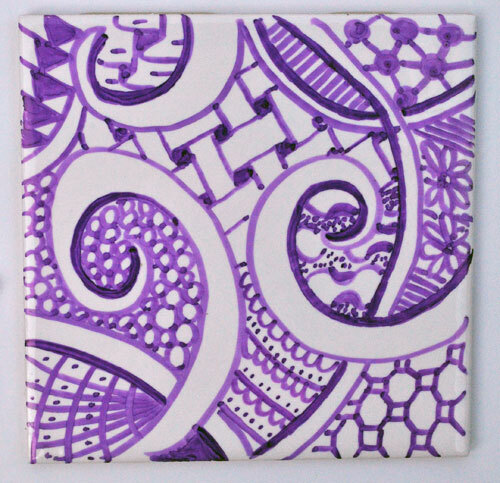 To get some inspiration for doodle designs try checking out my zentangle doodle pinterest board. 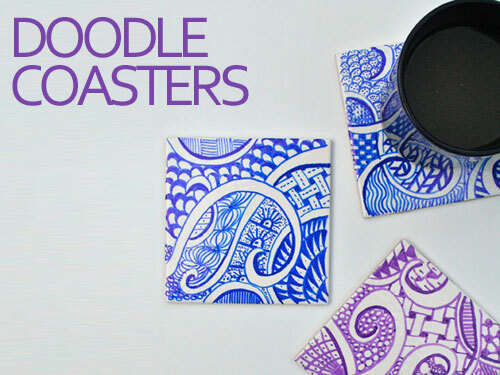 No more coffee rings on my table! 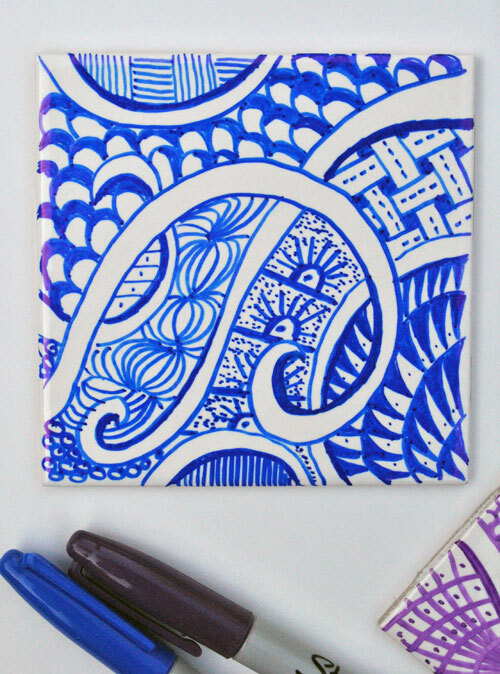 This entry was posted in Craft Projects, Sharpies! 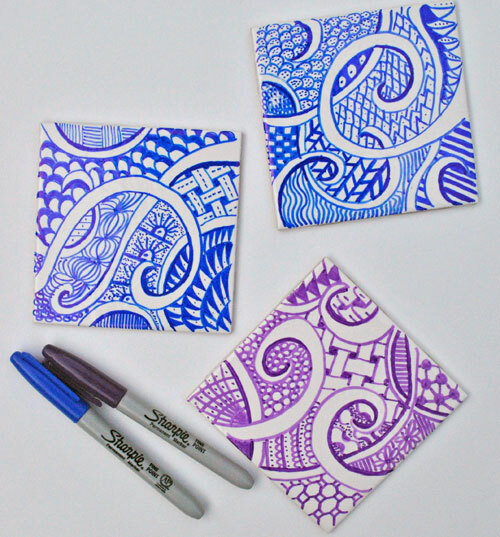 and tagged blue, blueandwhite, coaster, purple, zentangle. Bookmark the permalink. Do you need to heat set these like you do the mugs?